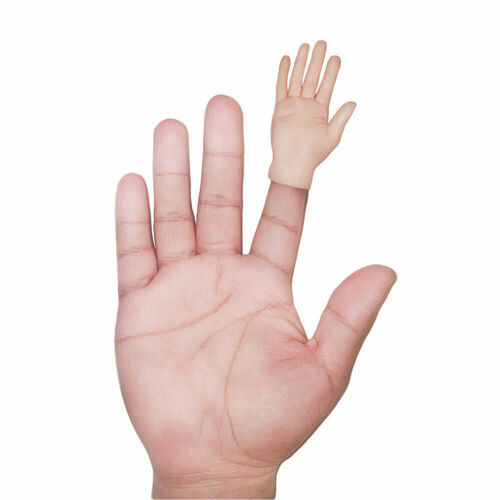 A hand that's always on hand to lend a hand! Try telling creative stories when your finger becomes a tiny arm, and your finger puppet is a tiny human hand! The Finger Hands Finger Puppet fits snugly on the end of your finger, assisting you with tiny high-fives and hand shakes where required. Why not add a new dimensions to a game of Jenga as you poke out the blocks with your miniature hand? The possibilities are endless! It's a hilarious gag gift for praksfters of all ages. You'll always have a hand to give next time someone asks! Put your hand up if you'd love one in your next party bag. Yes please! Available in a variety of skin tones as pictured (chosen at random). 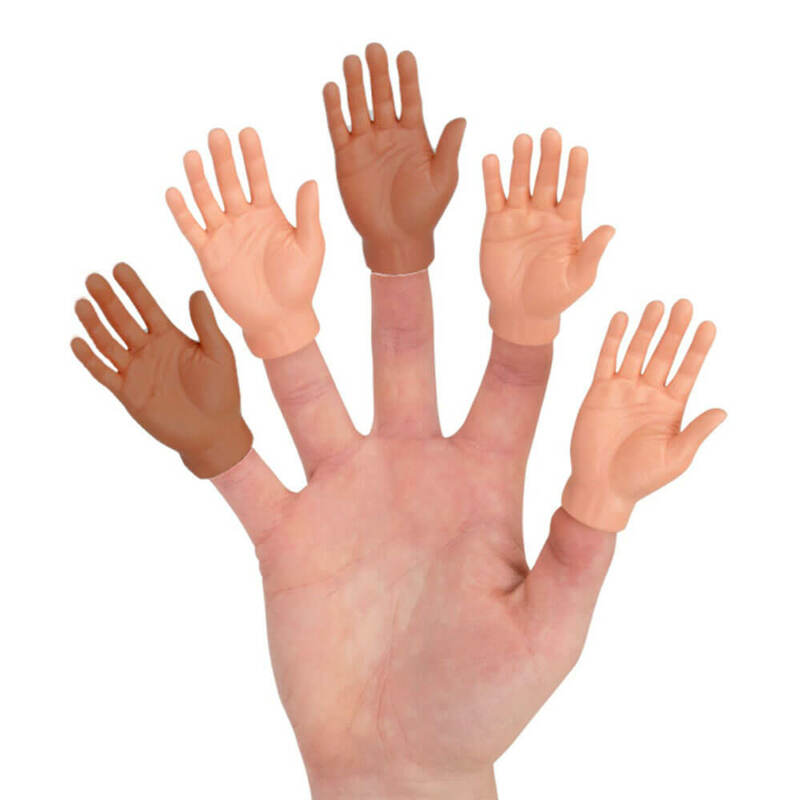 One size fits most fingers, made of soft vinyl.